Ya you can make money through Facebook also. Many people are wasting there time doing Facebook. So why not make this time to valuable time and make some money from this. You don't have to do much effort. You don't have to do anything that required any type of valuable resources (accept Internet and your Facebook account). 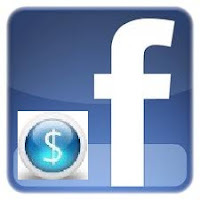 So Here is a Link from where you can earn money from Facebook. This website will help you to create a Facebook application which are now used by almost every user in Facebook. Application by means those programs which are quite famous now a days on Facebook like search your best friends, Test your mind skill, Find the best people in your life etc. After you create your own application the application will posted on your wall and when any person will play that application than you will be get paid for that. newsletter service. Do уou've any? Kindly allow me realize in order that I could subscribe. Thanks. has anyone tried this method? can anyone help me with some advice?